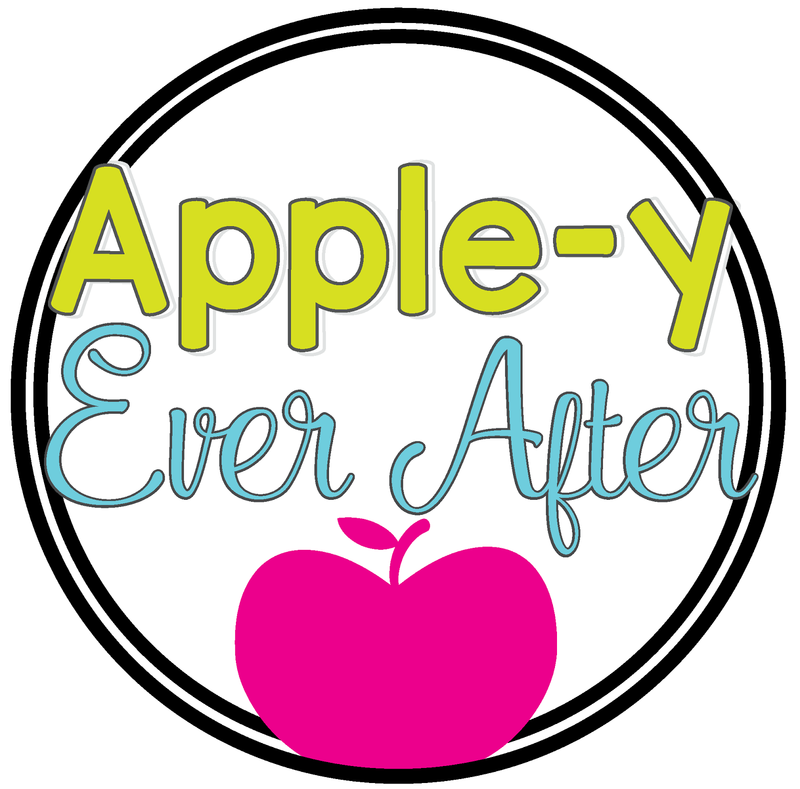 5 Tips to Organize and Play Math Games - Apple-y Ever After! The series where I share a math game, math worksheets or tips to help make your math time run as smooth as possible! Today I will be focusing on Math tips for busy teachers! Today I was working on some of my math games when a fellow teacher walked into my room. We were talking about how I manage my math games in the classroom because she was having a hard time keeping her students from being bonkers when playing math games. 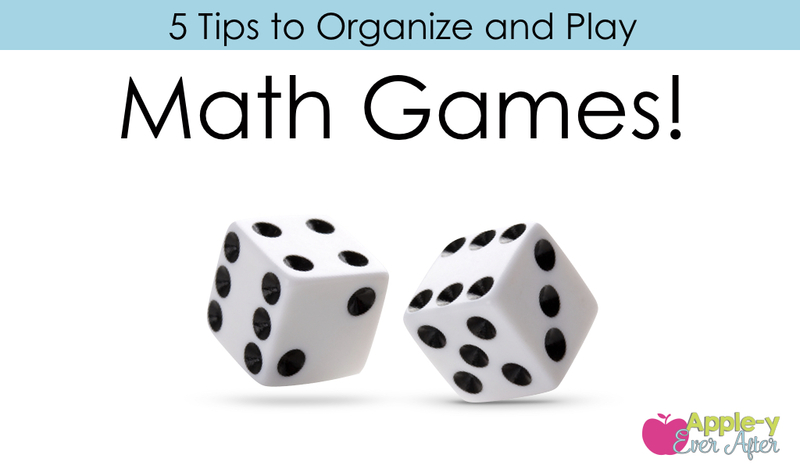 So I would like to share 5 tips for managing and playing math games in your classroom! 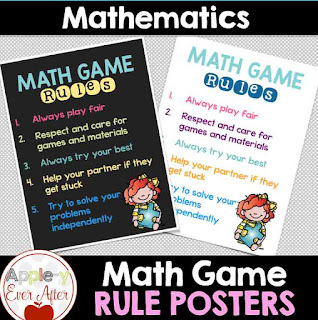 The best thing you can do with your students to ensure that they understand the rules and expectation of any game play in your classroom, is to sit them down and explain the rules of math game time. 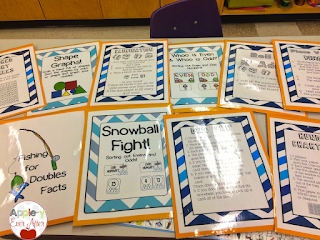 After you explain your rules, post the rules in your classroom. That way if you need to stop and re-teach/remind your class of what they should be doing, you have something to reference. 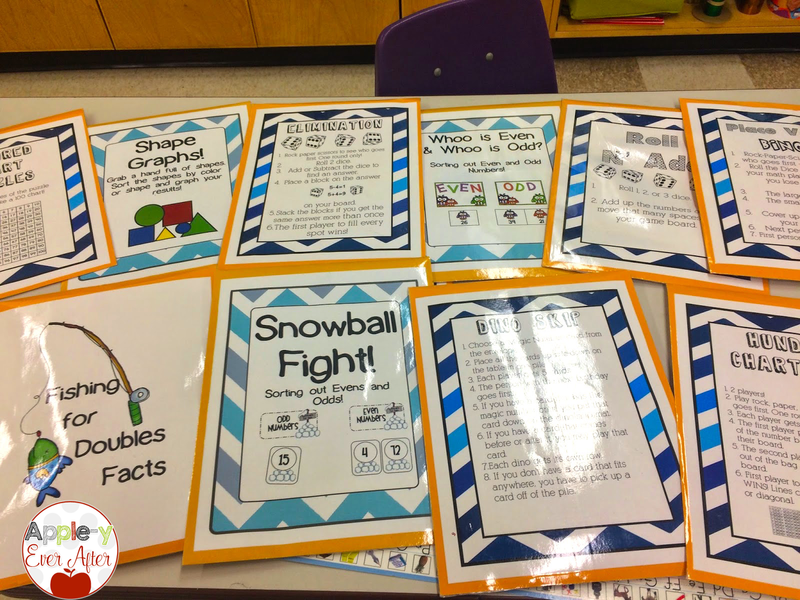 Here are a set of free printable posters that you may use in your classroom! Click on the picture to get these posters! 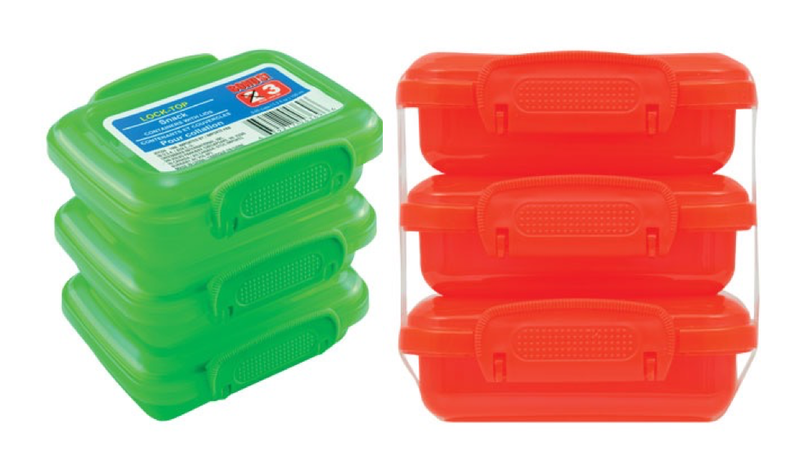 I have seen several posts about teachers who use small containers to hold their dice for student use. I do not do this. I find that this creates an opportunity for students to shake shake shake their sillies out. 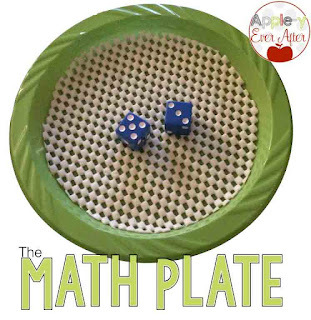 Shaking sillies out with dice is both noisy for me and my math group when it is time to concentrate on what we are working on, and for the students that I have working on independent work. I use math plates. They are quiet, and if they roll off the plate, students miss their turn. No one likes missing a turn. 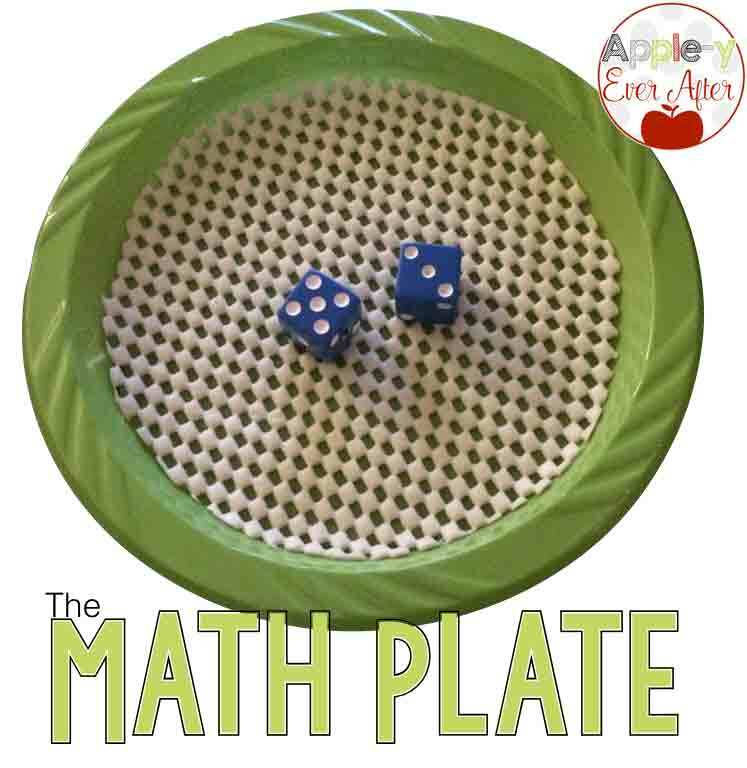 This makes students much more likely to roll the dice on the plate and to quietly play their game. All you need to make this is a plastic plate from Dollar Tree or any other store that has plastic plates, and a shelf liner roll. 1. Trace the circle from the inside of your plate onto your roll of liner. Card boxes are my nemesis. I have not used card boxes for a while now because I despise how they tear. My students have a hard time putting the cards neatly away in these so it turns into a big mess. That's the moment where I pull out my hair. Instead of using the cardboard box that cards come in, I went to a dollar tree store (the closest one to me is 6 hours away!) and I found these little tupperwear containers. These are a lifesaver. They cost me $1.25 for 3. 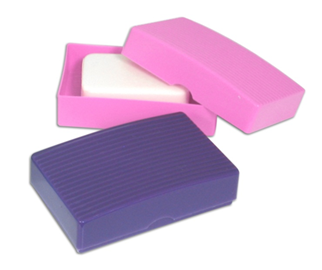 They are easy to open and close and fit cards in them perfectly! I have used both, and they work really well but I do prefer the snap closing ones more. I use math envelopes for my math games. On each envelope, I have a cover of the game so that my students can identify the difference between each one. On the back, I have the rules, how many players AND the materials that they will need. This has saved me hours of insanity with my kids. They can now go and find their game, look at the instructions and find the materials that they need INDEPENDENTLY! Learn how to make these envelopes HERE. 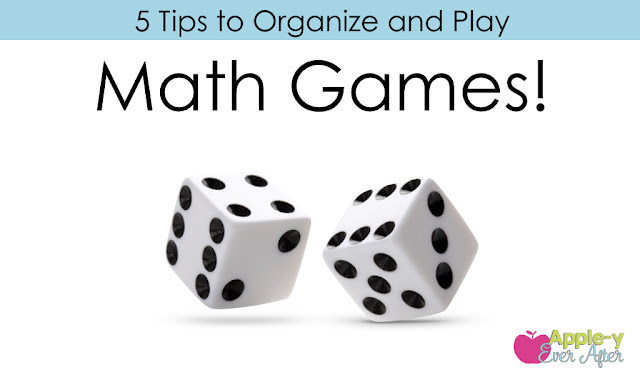 When playing math games with my students, we talk about the skill we are practicing. Like I stated above, I allow my class to play math games. Every once in a while, I like to switch things up by having them invent a new game that focuses on the skill we have been working on. Some of the games they have come up with have been so fun and wonderful that it is added into our math game cupboard for students to play. What I do for this is I have a folder with game boards that are blank. I have printed off game boards from Kimberly Geswin's Build A Game Font. It has so many different templates for you to use, and it is free to download if you are using it for personal use. I hope that you find these tips helpful! I'd love to hear about any other math tips that you have in the comment section below.